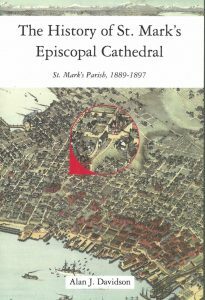 We are currently working on a way to purchase the book directly from the Catehdral. Until then, please purchase the book from The Elliott Bay Book Company, located on Capitol Hill at 1521 Tenth Ave, Seattle WA 98122. The book is shelved in the "Local Interest" section.